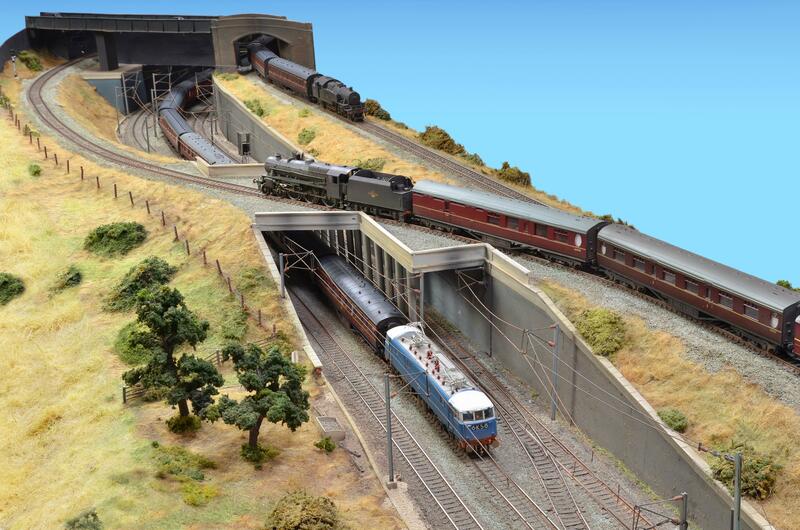 A group of enthusiasts who share a wide range of railway interests and a commitment to realistic modelling. 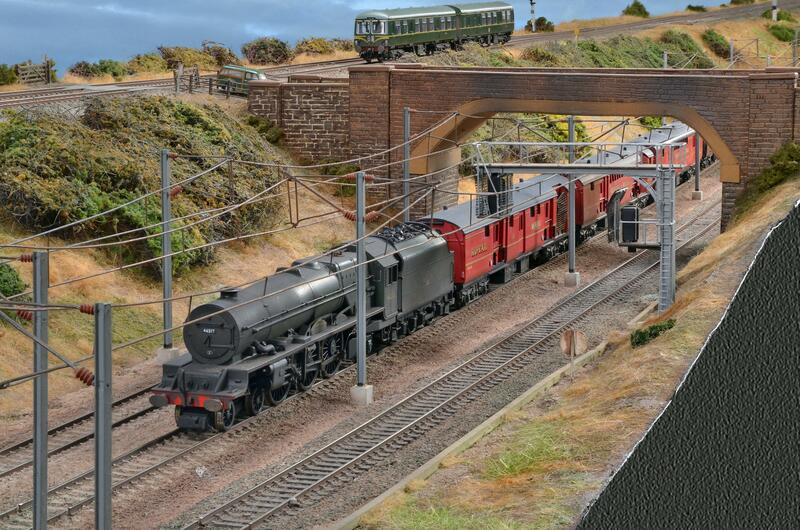 Our layouts include New Mills ( WCML 00 4mm) , Dduallt (009), Merioneth Town (16mm narrow gauge) and Bron Hebog (009). With New Mills now transferred north ( 17A !) perhaps we can indulge in a celebration of the layout's first 25 years and particularly its final transition era guise. on a running in turn following attention at the works. After 25 years, New Mills has moved from its Buckinghamshire base to a new home in Derby. 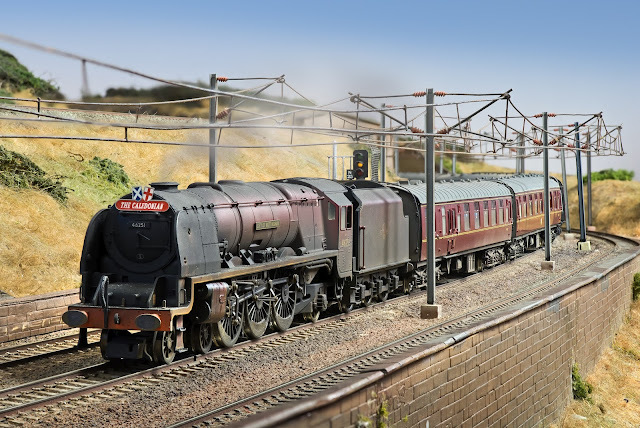 Exhibited across the UK since 1991, the layout was initially created by members of the Risborough club and then developed by Rob Cooper with support from some of those originally involved. From the outset it presented contemporary modern image operation. However, the 2011 back dating of New Mills to the early 1960s transition period proved to be very popular at exhibitions. 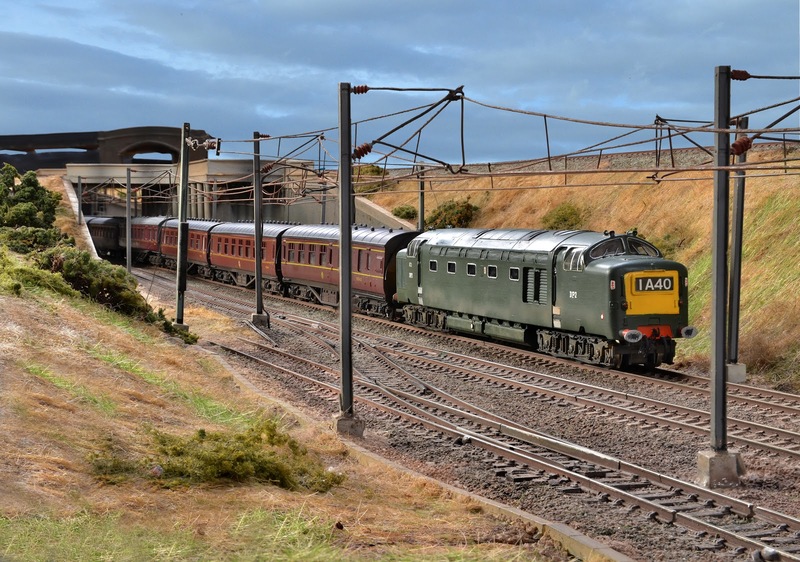 The highlight perhaps was the attendance at Model Rail Scotland in 2012 when our Stanier pacifics could be found on WCML expresses such as the Caledonian, just a short distance from their actual Glasgow terminus. New Mills may have moved on but our WHR Bron Hebog layout is nearing completion. Catch up with progress by clicking the link in the right hand column. Last week our 10,000 visitor hit the Cooper Hire MRC blog. OK, we may be trailing our sister site, Bron Hebog, and are very much non-league in the wider world, but it is still an achievement. 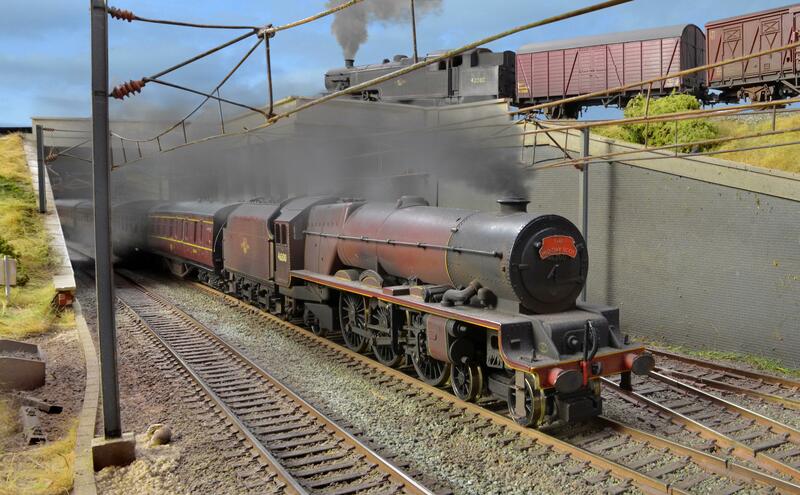 Our 10,000th visitor was Jason Grimshaw from Rochdale who tells us that he is a GWR 00 modeller like many of his friends in that area and gains his inspiration from John de Frayssinet. He supports Leeds United and lists Carling as his favourite tipple. Thanks for clicking on us Jason. Phill Hutching's fabulous DP2, a Craftsman etched body on a detailed LIMA chassis, heads south through New Mills on an up Liverpool service. Another image from the recent HORNBY magazine photoshoot. Hot on the heels of the illustrated article on Dduallt in the December issue of MODEL RAIL and the Chris Nevard take on our flagship WCML layout in issue 166 of the same magazine last summer, our New Mills layout is a main feature in the March copy of the HORNBY magazine. They can't get enough of the Cooper Hire MRC layouts! Watch out next for a feature on Bron Hebog, our new 009 FR/WHR layout capturing the area around Beddgelert station and the two dramatic horseshoe curves that carry the line north towards Snowdon. And maybe an anniversary special on our Merioneth Town heritage collection, Don Boreham's pioneering 16mm narrow gauge models. Go to our sister website http://bronhebog.blogspot.co.uk/for the very latest news on our Bron Hebog project. Near Tring, view SE towards London on WCML. No. 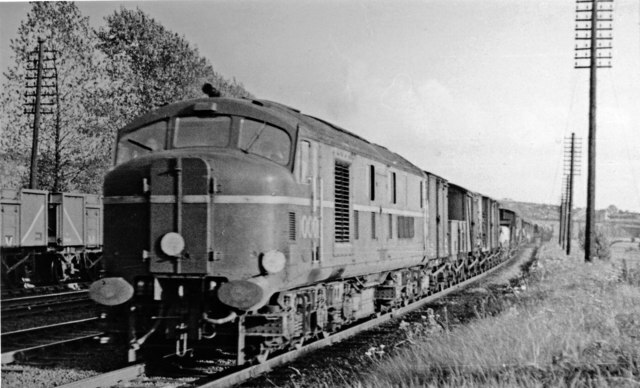 10001 is parted from its twin (No. 10000) in winter owing to their lack of train-heating equipment and here is probably working the 14.55 Camden - Crewe class C freight. New Mills may have moved on but our WHR Bron Hebog layout is nearing completion. Catch up with progress by clicking the link below.